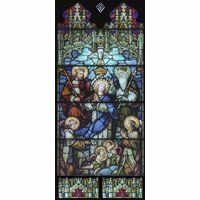 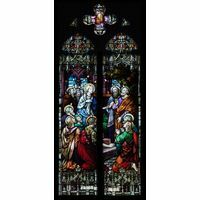 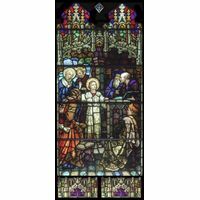 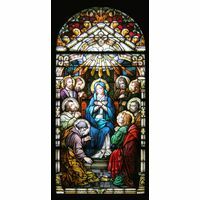 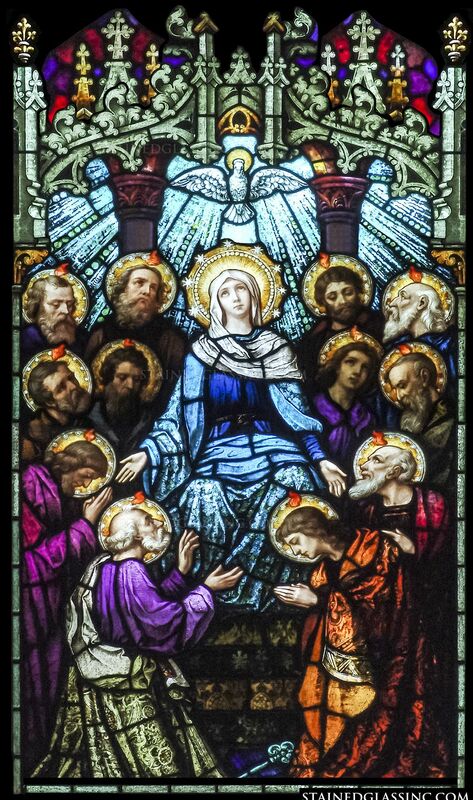 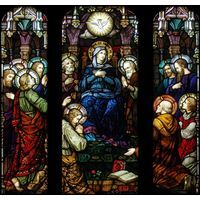 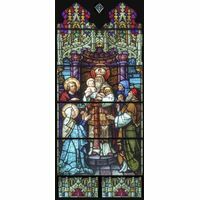 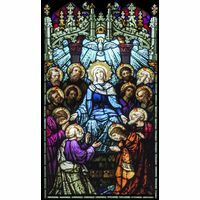 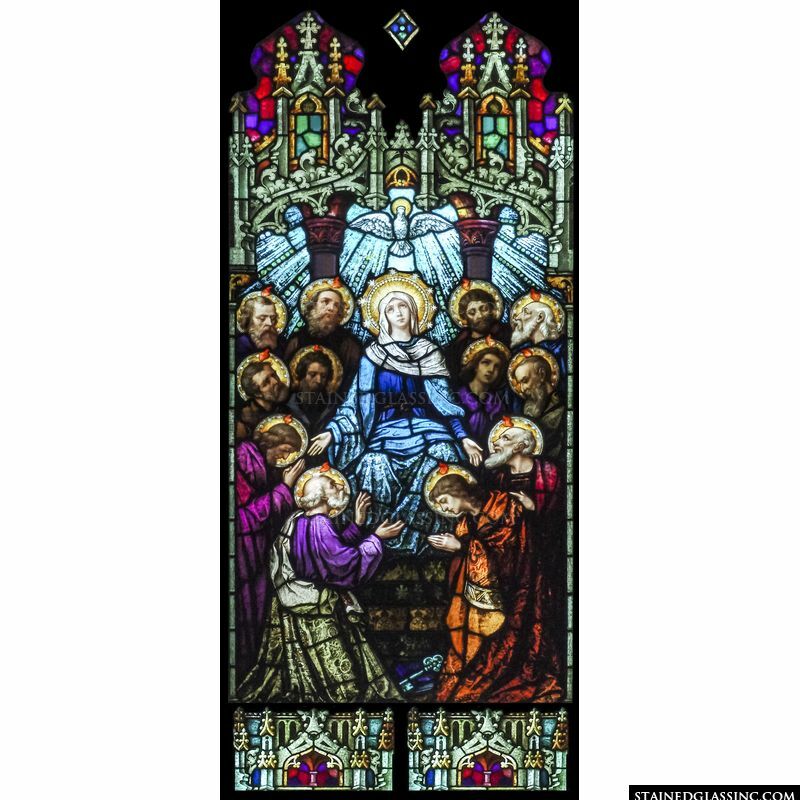 Mary sits in the center of Jesus' disciples on the day of Pentecost, portrayed in glorious color as part of this exquisite work of stained glass art. 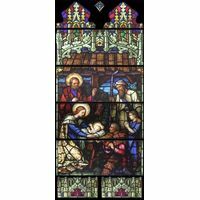 Intriguing design and astonishing use of colors of the rainbow and varied textures that reflect and refract rays of light as they play along the surface of this stained glass make it a true treasure, dazzling the eye and touching the heart. 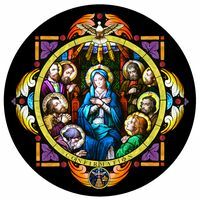 Realistic, flawless imagery, from the expression of love and spiritual ecstasy on the face of the virgin to the symmetrical detail of the classic design, brings this breathtaking tableau to life for all who are blessed to behold it. 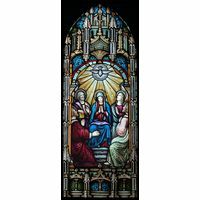 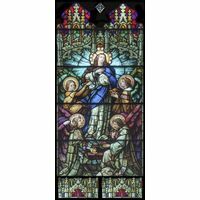 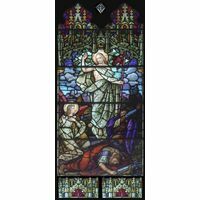 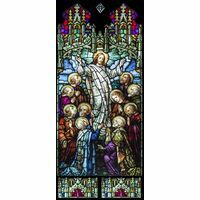 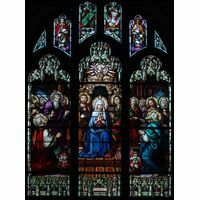 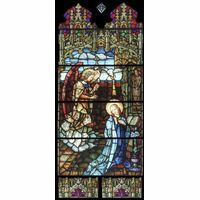 Inspirational and soul stirring, this stained glass window is perfect as an accent for church, chapel, cathedral or shrine, and lends itself as a signature centerpiece for home or business decor.